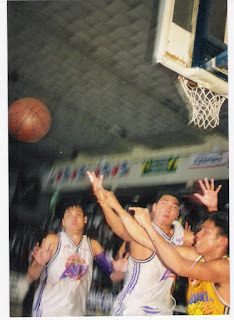 Cebu Gems' Jan Montalbo and Manila Metrostars' Rommel Adducul together with former President Fidel V. Ramos in ceremonial toss of the opening ceremonies of the MBA in 1998 at the Narciso Ramos Convention Center. Biboy Simon of the Laguna Lakers looks for swife the ball against Ato Morano of the Pangasinan Presidents in action of the MBA 1998 season. 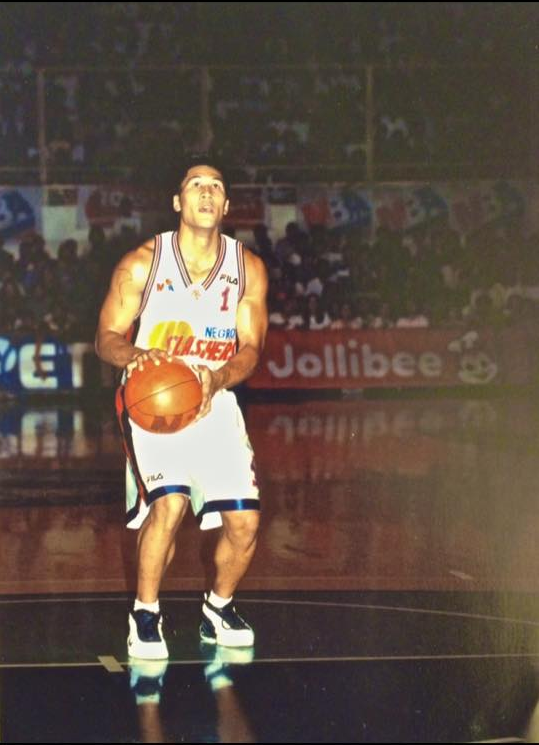 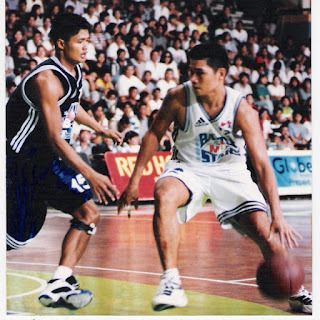 Biboy Simon of the Laguna Lakers (North All-Stars) dribbled the ball against Maui Huelar of the Negros Slashers (South All-Stars) in action of the 1998 MBA All-Star Game. 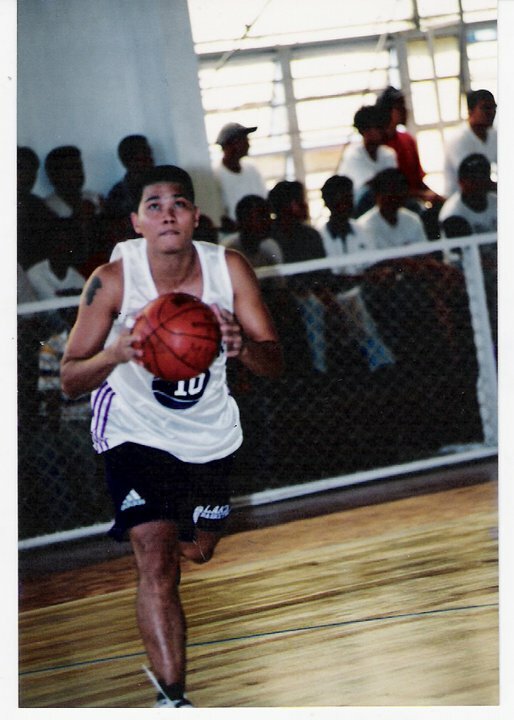 Biboy Simon of the Laguna Lakers. Raymond Fortun of the Negros Slashers (1999). 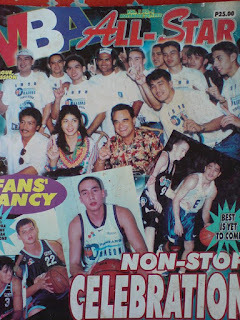 Please Like us on Facebook page of the MBA from 1998 to 2002, they unforgettable fans in the Philippines. 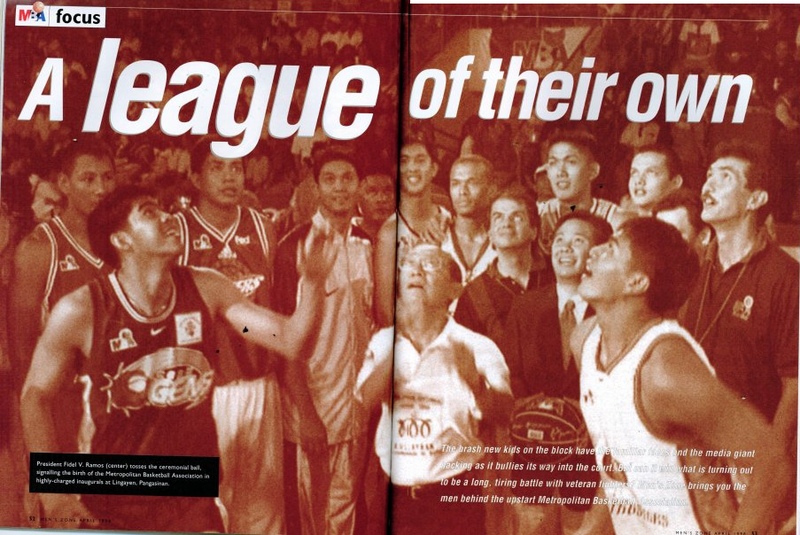 Pampanga Dragons non-stop celebration issued on November 1998 as their first MBA title. 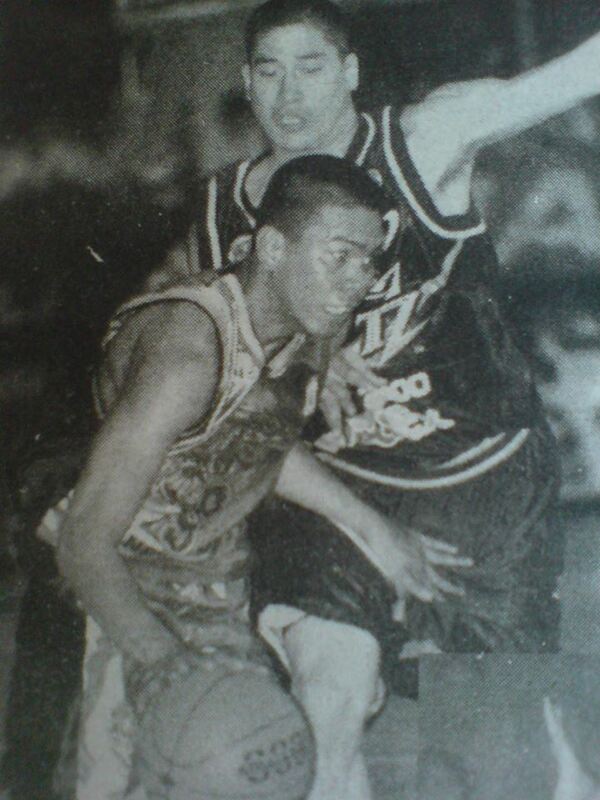 Ato Morano of the Pampanga Dragons against Francis Aquino of the Iloilo Megavoltz. 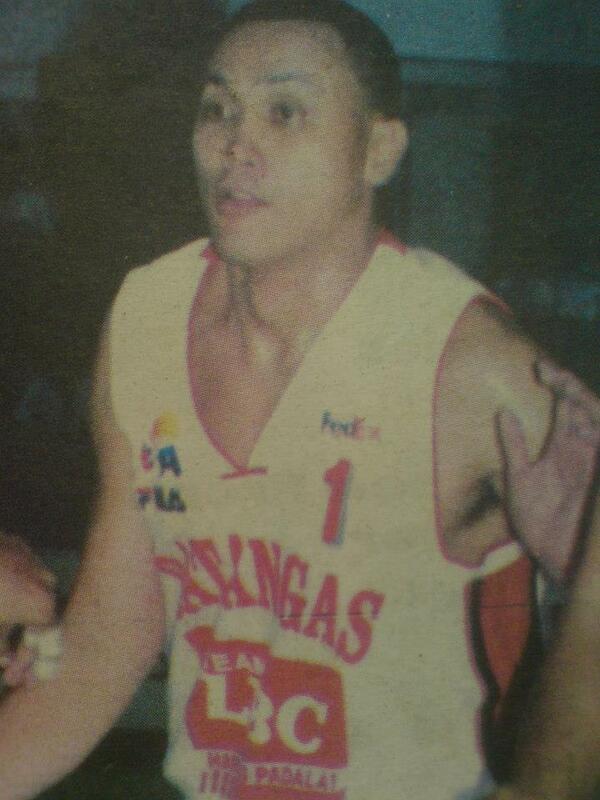 Tyrone Bautista of the Batangas Blades.